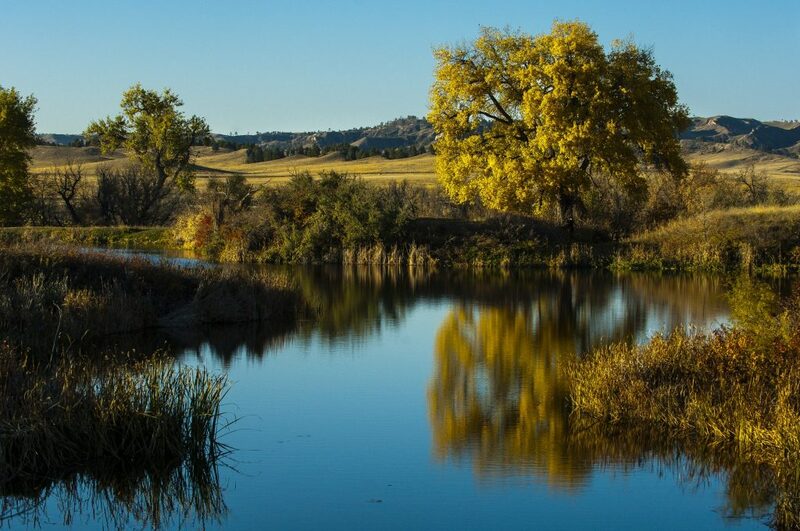 Anglers visiting Fort Robinson State Park in coming months may be disappointed to find some of their favorite ponds without water, but are sure to enjoy the same places in coming years. The Nebraska Game and Parks Commission drained Grabel Ponds and Cherry Creek Pond to make way for the first phase of an Aquatic Habitat Program project to improve conditions for fish and anglers at the two ponds, along with the Cherry Creek diversion pond and the lower Ice House Pond. The project will deepen the ponds, create aquatic habitat features for fish, reshape embankments, install new outlet structures and develop improved access for anglers. Plans call for refilling the ponds and stocking fish by early fall. Although some areas are closed for the construction, Fort Robinson visitors may still find fish at Carter P. Johnson Lake, Soldier Creek or the White River. Joe Rydell of Alliance, Commission fisheries biologist, said the ponds provide angling opportunities to countless park visitors each year but are in need of an upgrade and have untapped potential. Fed by coldwater streams and springs, many of the ponds in the 22,000-acre park served the Crawford National Fish Hatchery, constructed in the late 1920s.